Welcome to Full House Electrical. 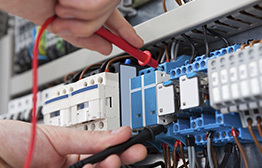 We are a trusted electrical services company with over 15 years experience in the electrical industry. We look after the electrical needs of homes and businesses in Farnborough, Aldershot, Camberley and the surrounding areas. Our accredited local engineers are at hand to deliver the highest quality of service and level of response you deserve. Our testimonial page illustrates the satisfaction we’ve brought to hundreds of customers in Surrey and Hampshire. At Full House Electrical customer satisfaction is at the heart of everything we do. As we are NICEIC Approved Contractors, in addition to our own warranty, all our work is covered by the NICEIC Platinum Promise. 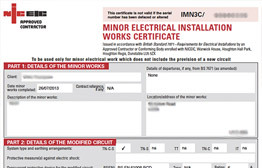 This accreditation and our own attention to detail insures our electrical work is carried out to the highest possible standards, in line with the rigorous NICEIC annual inspection. Our certified engineers can cater to all your electrical needs. 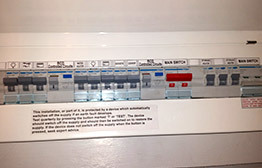 From rewires, to safety inspections, fuse board replacements and lighting installations. 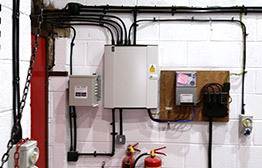 For a detailed view on the services we provide please see our electrical services page. All our work is competitively priced and fully insured for your peace of mind. Own a business in Farnborough, Aldershot, Camberley or the surrounding areas? 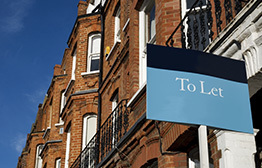 Not only do we look after several major estate agents, but we’ve also provided electrical installations for hundreds of domestic, commercial and industrial properties in Surrey and Hampshire. Whether you are a landlord with rental properties looking for electrical installations or certification, or a business owner who needs telephone or internet systems installing, we have the experience and knowledge to cater to all your electrical needs. "Gavin was punctual, professional and knowledgeable. He identified the problem quickly and explained how he could resolve it. He worked efficient and did a great job, tidying up thoroughly once he'd finished. I would definitely use him again and wouldn't hesitate to recommend him to others." 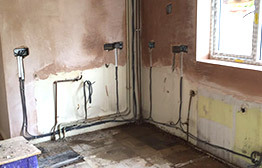 Several light and socket installations + earthing water. 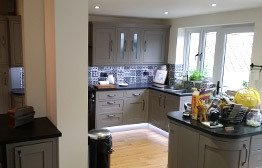 "Once again Full House Electrical did a great job, finding neat solutions and overcoming considerable difficulties in our old and awkward house. 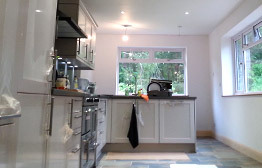 I cannot recommend Gavin and his apprentice highly enough."